He looks pretty good with a LEGO trident! Thank you. I don't know if you have seen my other figures, but I really like Lego weapons. Is it a challenge? And does it have to ride the beast or just feature in the pic with the bb? Anything you'd like, by the sounds of things. Next week is your turn Susha. Thank you Draznar. Hope you enjoy week 2.
sorry i have a farm close by home, I've been going often this week taking with me a bighorn sheep, but I haven't had the chance to take a good pic yet. Also, very few rams at the farm. There is however a huge pig, so maybe.. Gimme a couple more days. and sorry for the delay. 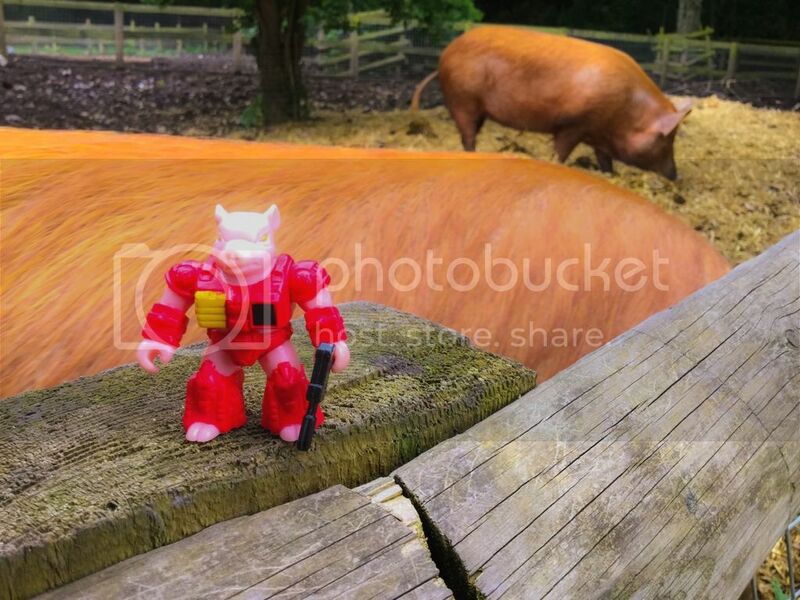 oh, I wasn't suggesting everyone use animals, just make something funny involving Battle Beasts This tread is meant to make us laugh, not work. Edited by susha, 19 May 2016 - 10:53 AM. I Love It ! Actually I clicked on your album and you have lots of creative pictures Susha. Nice Job. cheers. jave u checked my photocomic in the fan fic area? Edited by susha, 20 May 2016 - 04:02 AM. OMG! did I manage to post this on friday in accordance witht the title? Yay!! The photocomic looks great. I started this thread to make people laugh, there is too much negative crap on the news and internet, but if someone want to take a sea pick and bring Killer Carp...why not. I know, I'm just not much of a comedian. who's up next? cos I'm on second! pic being eaten by live animal... well, thats priceless. And yesterday they took the sheep out for some air. Common Guys, it can't just be Sashu and I posting Friday funnies. Weather is getting better, but now it falls on my kids to give me some time. Leopard Geckos vs. Battle Beast Lizards! Edited by Spiritcrusher, 03 June 2016 - 05:18 PM. Edited by Spiritcrusher, 03 June 2016 - 05:29 PM. I'm guessing the beast annihilated the first one? The second wants nothing to do with them. I tried sitting one of the Battle Beasts on top of the Geckos back, but they wouldn't sit still for that. The Gecko looks confused. Great Pics !! !